The world football championship has set off in Brazil and we all are watching the teams competing for the cup and the gold medals on TV. Well, at least we did before the Microgaming company has presented us an excellent chance to take active part in football games and win some real prizes for our own. With the Football Star slot launched we can make some spins and hit some scores while enjoying the bright graphics and exciting gameplay. There are 5 reels in the game that offer as many as 243 ways-to-win it. The already familiar active paylines are missing, so in order to score one will have to gather a few similar symbols on the neighbor reels starting from the left one. The bet amount can go from just 50 cents up to 125 Dollars (Euro, Pounds) and the winning amount will be calculated basing on the special coefficient stated in the game’s rules. In the table all the potential wins are specified according to the potential bet amount. Usually, only the highest combination on a line will be paid out. There is no surprise that we will see the football players, football uniforms, a stadium and suchlike symbols in the game named Football Star. The special symbols are the familiar Wild and Scatter ones, the former being the Football Star logo and the latter a Ball. They are more functional than the usual symbols, since the Wild can replace all the other symbols excluding Scatter and form winning combinations. And the Scatter is a great thing to see on the reels no matter what position it occupies. This slot has no thematic bonus round but it does have a prize feature related to the Wild. Within any spin there can appear a football player on the game field and make a score on one of the three middle reels turning all of them Wild. After that the payment amount will be calculated and the combinations formed. The game is not a part of the progressive jackpot network but just like the excellent Terminator II slot it gives some great prizes instead. All in all the slot is a bright and exciting way to spend time and wing some real cash while having fun. The functional features and great graphics that the Football Star can pride itself with are worth a separate mentioning. 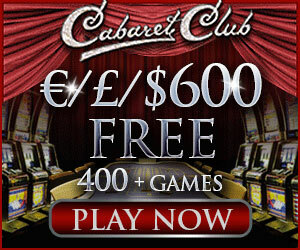 The game has a convenient and intuitive interface which makes it one of the best online slots out there and easy to follow even for a newbie. So no matter if you are a hard-core online gambler or just a football fan who wants to hit some scores in this virtual game and win some cash you are warmly welcome in Casino La Vida, Golden Riviera, Red Rush and other best Microgaming casinos.